COLUMBIA, S.C. – January 22, 2013 – Have a photo that encapsulates rural life in the Palmetto State? Send it to Commerce and you might be the winner of the ninth annual Amateur Rural Summit Photography Contest. 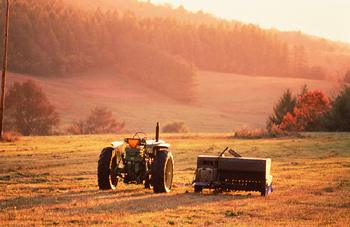 The contest is open to the public, and entries should reflect the unique features of rural life in the Palmetto State. Fifteen finalist photos will be chosen by S.C. Department of Commerce staff and displayed at the Rural Summit. Attendees of the Rural Summit will vote, and the winning photo will be announced at the end of the program on March 4. Photographs must be original work of the applicant and feature rural South Carolina subject matter. Photos may be color or black-and-white, and should be submitted as an 8”x10” image with name of photo, name of photographer, and completed registration and release forms, which are located on the Commerce website at this link: Rural Summit Photo Contest. The deadline for submission is Friday, February 15, 2013. For more information about entering the contest, please contact Flora Atchison at 803.737.1876 or fatchison@sccommerce.com.